I'm very happy for you, that this is underway; it's going to be great! I will definitely stay tuned. Too late for the first round, and maybe you figured it out already. 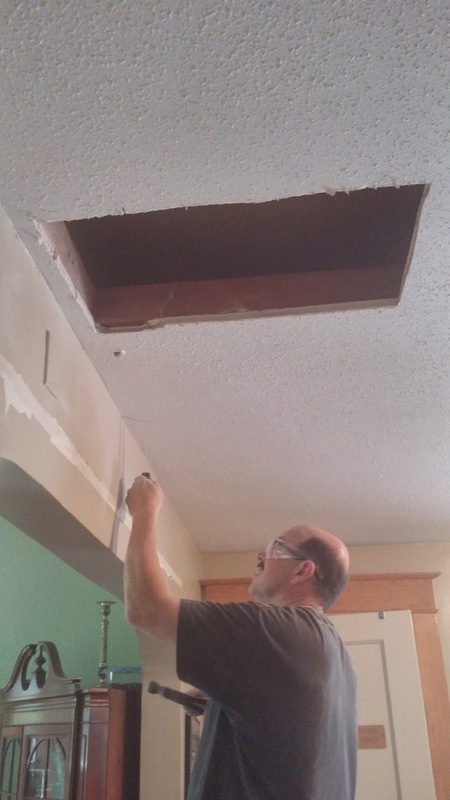 When Erin's kitchen was remodeled, she said there was coal dust All Over Her Whole House. I said, "But when your dad works on a room, he blocks the door with a heavy tarp to contain the dust, so it doesn't spread." She said the remodelers at their house didn't do that. I keep telling myself that, no matter how inconvenient it is, I will have to block well all three doors to my kitchen when it is redone.